The modern 4WD tourer is required to perform duties far beyond it’s design, and the additional power demands created by fridges, caravans, lighting and entertainment systems, may mean a serious upgrade to the vehicle’s electrical system is in order. Running a fridge from the standard electrical circuit via the cigarette lighter socket may be fine for the occasional weekend away but if you’re ‘going bush’ then it’s time to think about a dual battery system. The aim of a dual or auxiliary battery system is twofold. The absolute priority is to protect the vehicles starting (cranking) battery from being flattened and thus rendering the car unable to be started. The second aim is to provide an auxiliary 12 volt supply – to power all those accessories that make life in camp so much easier. Auto electrics is a dark science and we’re not going to get overly technical here, just a basic outline of some principles, good practise and proven techniques. 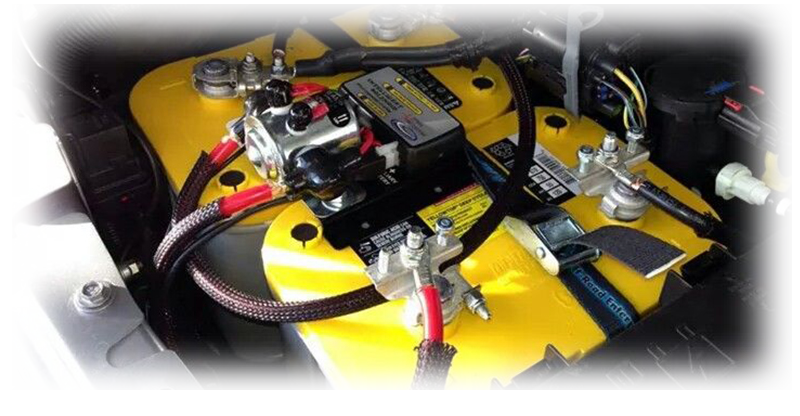 The addition of a 12 volt refrigerator is the usual catalyst for the installation of a dual battery system, whether it’s sitting in the back of the 4WD or being towed in the caravan behind. When we add a dual battery system to a vehicle, we try and maintain two distinct systems. The primary system contains the starting (cranking) battery and the alternator (which provides battery recharging and will eventually provide charging to both batteries) and all the electronics required to keep the car operational. Onto this primary electrical system, we are happy to add things like GPS navigation systems, phone chargers, interior lighting and in car entertainment systems. 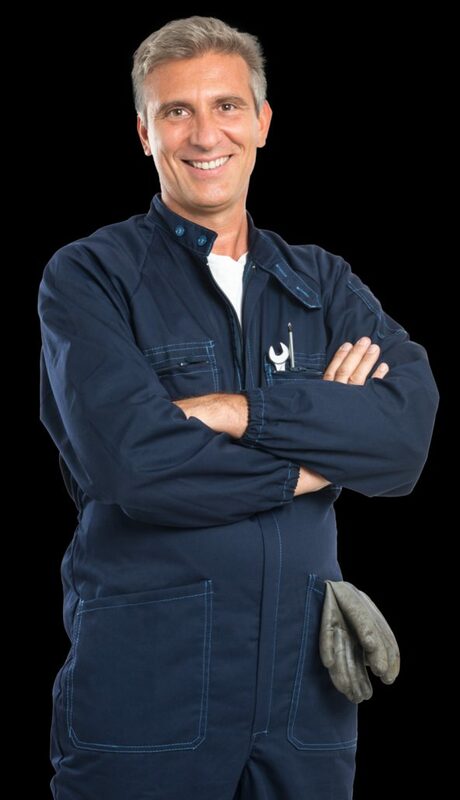 Things that can only operate while the engine is running and the starting battery is being charged. On the secondary or auxiliary battery we run items such as fridge/freezers, camp lighting and auxiliary power sockets to run radios, computers and inverters. When in camp we make a distinct point of having no accessories that draw power from the starting battery. The key is turned off and any auxiliary 12 volt power is drawn from the secondary battery. Everytime we turn the ignition key we want to know the starting battery is fully charged and we can drive away from camp. We do not want to be stranded with a flat battery because we were trying to keep a bag of peas and a lamb chop frozen. Don’t scrimp on batteries, cables, connectors and terminations. There are no 12 volt shortcuts and if you think you’ve discovered one it will let you down and you will buy twice. We like to use big, ‘Deep Cycle’ batteries as the auxiliary power source. No battery likes being repeatedly discharged and recharged and they don’t enjoy being left in an uncharged state. Deep Cycle batteries handle the constant discharge/recharge cycling far better than the standard engine cranking battery. The trade-off is that Deep Cycle batteries take longer to recharge and don’t have the same levels of cranking amps (‘grunt’) to turn over the engine of a car for long periods. Modern automotive batteries are constructed from various materials and techniques. The most common are lead-acid batteries which arrive in ‘flooded cell’ configuration (pull off the caps and top up the water) and ‘sealed’ configuration (maintenance free). Alternative technologies include AGM Batteries (Absorbed Glass Matt) and GEL Batteries (Gelled Electrolyte Lead-Acid). Expect to pay upwards of $220 for a traditional lead acid battery and far beyond that for the longer lasting AGM and GEL batteries. Expect a touring lifespan of between eighteen months and two years for a reasonable quality lead-acid 12 volt battery. Lucky owners get three years. The enemies of battery longevity are cycling below the manufacturers recommendation, heat and vibration – constant threats on a touring 4WD. Drain the battery below 50% of it’s rated capacity and you reduce it’s life. Stick it next to the turbocharger and you reduce it’s life. Let it bash around over corrugated roads and the cells break down, creating internal shorts, which reduces the lifespan. The key – buy large capacity, quality batteries and use and maintain them as per manufacturers recommendation. Secure them so they never move and keep them away from extreme heat sources. Batteries release explosive gases. Ventilate battery enclosures as directed by the manufacturer. The smart side of charging and managing dual battery systems is handled by a battery isolator. The alternator of the vehicle creates the electricity required to keep the battery(ies) charged. In simple terms an isolator allows the charging of the starting battery to an acceptable voltage level and then opens up the electrical circuit so that the auxiliary battery can be charged. In it’s most basic form it is a switch that requires manual engagement by the operator. The driver starts the car and makes a decision to throw the switch over to charge the second battery. Hopefully his/her judgement is good enough to take into account the condition of the battery, whether or not the headlights/aircon/DVD are turned on and exactly how much charging the starting battery requires. Systems like this are all a bit hit and miss and frequently lead to failure, usually with the operator forgetting to throw the switch over to the auxiliary battery resulting in a hot fridge. We like using a VSR (Voltage Sensitive Relay). These things are basically solenoids (with a small electronic ‘brain’) which are connected and act like a switch or ‘gate’ between the the starting and auxiliary batteries. The VSR delivers charging current to the starting battery as a priority. When the starting battery has recovered its charge the VSR opens (like a gate) and delivers charging current to both batteries. When you turn off the car engine, electrical devices like your 4WD fridge continue to draw power from both batteries. Once the VSR senses that the voltage in your starting battery has dropped to 12.5 volts (or thereabouts) it opens the ‘gate’ and isolates the auxiliary battery from the starting battery. The fridge continues to draw power from the second battery but your cranking battery power is preserved so you can start your vehicle in the morning. It’s a clever system, reasonably cheap and most importantly it’s reliable and virtually foolproof. Use a minimum of 13.5mm² (6B&S) cable to connect the batteries to the isolator. Cables should be run with minimal bends and turns. Care should be taken to avoid hot exhaust and intake components. Increased heat in cables equals voltage drop or burning through the casing. Care must be taken to avoid moving parts such as suspension components and steering columns. Wherever a cable must run over sharp metallic corners, be conscious to tie it in such a way, as to prevent rubbing. Allow a little slack in the cable run. It’s not a guitar string. Cabs, chassis’s, tray backs and doors move independently of each other and allowances must be made for flexing. Wherever cables run through metal panels such as doors frames and firewalls, use a rubber grommet to prevent rubbing between the cab and the steel. Even if there is no movement, vibration will ensure that the cable frays against the frame causing the circuit to fail. Secure terminated cables to battery and isolator terminals using a nut, standard washer and a spring washer. Spring washers create friction at the connection preventing cables from coming loose. Use 100Amp fuses at both the starting and auxiliary batteries. Position them at the positive(+) terminals, close to each respective battery. These fuses are designed to protect these big, current-carrying cables in the event they wear through and make contact with the car, creating a short and possible fire. Manufacturers of Battery Isolators may have specific requirements for their equipment. The points made above are a guide only and should be read in conjunction with the manufacturers instructions.